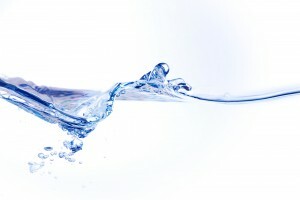 A RainSoft home water filtration system is designed to provide a comprehensive solution to all of your water concerns. If you live in Phoenix, Arizona, or any neighboring community, our professionals can help you find the ideal water treatment system to solve your home’s water woes. Whether you’re displeased with the color, appearance, texture, taste, or odor of your water, our team is will be able to provide you with a fast-acting and permanent solution. Carbon block filtration systems – These filters address chlorine, chloramines, volatile organic compounds, and other chemicals that may make using your water less desirable to use or drink. Sediment filtration systems – These products are designed to trap and remove sand, silt, scale, and other suspended solids that may give your water a cloudy appearance or gritty texture. Specialty filtration systems – These systems address elevated levels of metals or minerals, such as sulfur, iron, manganese, and other contaminants that can cause unpleasant flavors and odors. No matter which system your Phoenix home needs, you can rest easy knowing that our RainSoft products are built to provide outstanding long-term performance. Every whole house water filter we offer has been independently Tested and Certified by the Water Quality Association to ensure that it lives up to its stated performance benchmarks. What’s more, we back all of our products with a Limited Lifetime Warranty that is among the best in the industry, ensuring that you’ll be able to rely on your new investment for years to come. To learn more about how we can install a home water filtration system in your Phoenix, AZ, residence, contact your local authorized RainSoft dealer today.